You are currently browsing the tag archive for the ‘current’ tag. Imagine standing high above planet Earth and looking down at the blue and white band of seas surrounding Antarctica. You are looking at one of the most important features of the Earth’s surface. 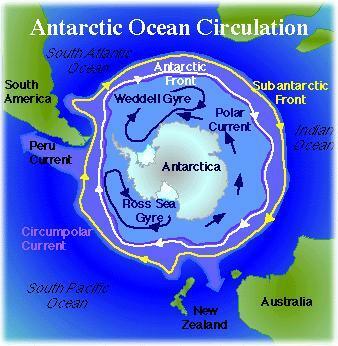 The turning of the planet and strong westerly winds drive the cold deep waters of the Southern Ocean into the planet’s largest and most powerful current system, the Antarctic Circumpolar Current (ACC). The clockwise current isolates the frozen continent into its own self-replicating climate. Since there are no great land masses lying in the ring of open water at these latitudes, the ACC also forces waters from the ocean depths up to the surface. This upwelling brings rich nutrients from the depths and causes immense blooms of phytoplankton (which in turn nurture life throughout all the world-ocean). Additionally the current stirs the circulation of the Atlantic, Pacific, and Indian Oceans. The ACC has been known to sailors for centuries. A sailing ship can travel west along the current with great speed (if the sailors have the bravery and stamina to confront the fierce winds of “the roaring forties”). 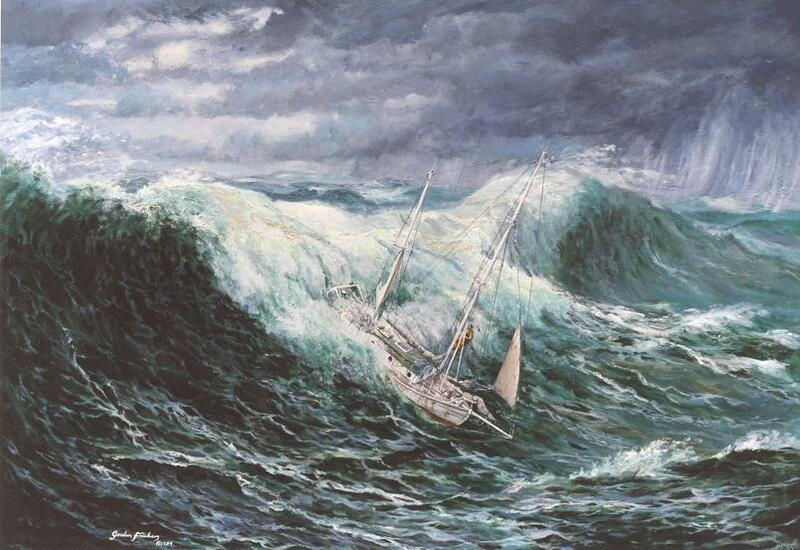 The “clipper route” was the fastest sailing route around the world, but it was dangerous. The three great capes (Cape Horn, the Cape of Good Hope, and Cape Leeuwin) all claimed innumerable lives as did wind, ice, and storm. Today the clipper route has been abandoned as self-powered ships bring their cargoes of plastic junk straight across the ocean from China (and then cut across the Panama Canal) but sailing enthusiasts still recognize the fastest way to ride the wind around the planet. The major circumnavigation sailboat races all travel the clipper route. The true history and significance of the ACC vastly exceeds the paltry recent concerns of navigation and world trade. 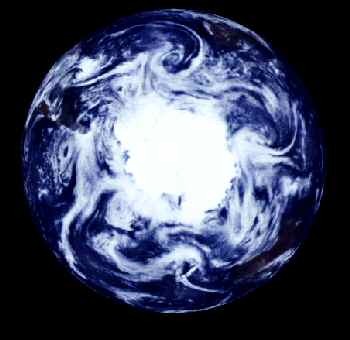 Geologists estimate that the ACC current began spinning around 34 million years ago at the end of the Eocene epoch as Antarctica split from Australia and drifted further south. Back when Antarctica and Australia were still connected, the great amalgamated continent was a place where cold southern water and chill weather mixed together with tropical warmth—thus causing the whole planet to warm up. However when Antarctica broke away and drifted south, it started a series of climate feedback loops. The oceans around the continent began to freeze and ice started to build up on the mountains. An entire continental ecosystem began to change in the cold. The tropical forests (which had been filled with strange marsupials) began to die and become tundra. As the Oligocene progressed and Drake’s Passage widened, the rivers–once filled with catfish–turned to ice. 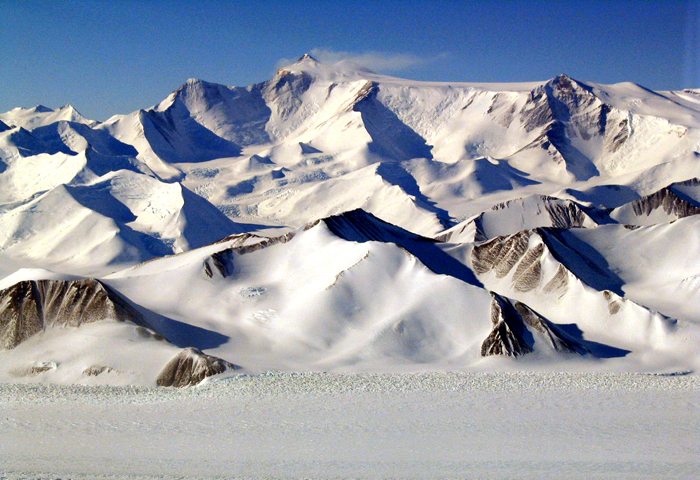 The landmasses of Antarctica became crushed down under immense glaciers. Antarctica died in the cold. By 15 million years ago it became as it is now–home to only tardigrades, lichen, and a handful of visiting birds and seals. Even now the Antarctic Circumpolar Current still isolates the continent from the warmth of the rest of the world. Yet through upwelling of iron and other nutrients, the current bolsters an immense fecundity of phytoplankton–the great primary producer of the ocean. 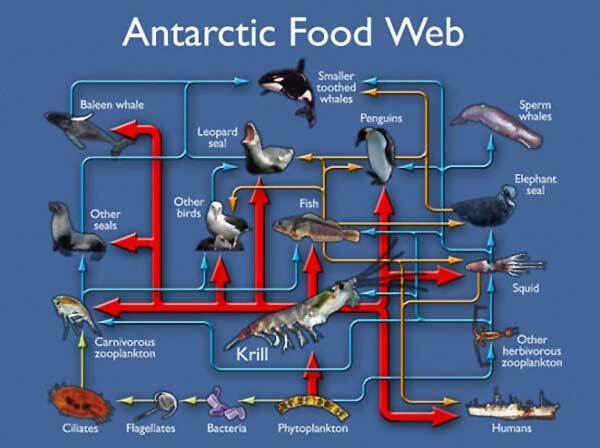 Masses of copepods and krill feed on the algae and the diatoms and they in turn are eaten by fish, mollusks, mammals, birds, filter feeders…everything. The great southern oceans are among the most diverse and strange habitats for living things. It is there that the largest mollusk on the planet is found—which is the subject of an upcoming post. However, I am concerned that the story is becoming a self-fulfilling prophecy of defeat and it shouldn’t be. Despite its ever shrinking budget, NASA is actually doing a great deal in space right now as, to a lesser degree, are the world’s other space programs. Five days ago NASA the spacecraft Dawn went into orbit around the protoplanet Vesta, the second largest object in the asteroid belt. 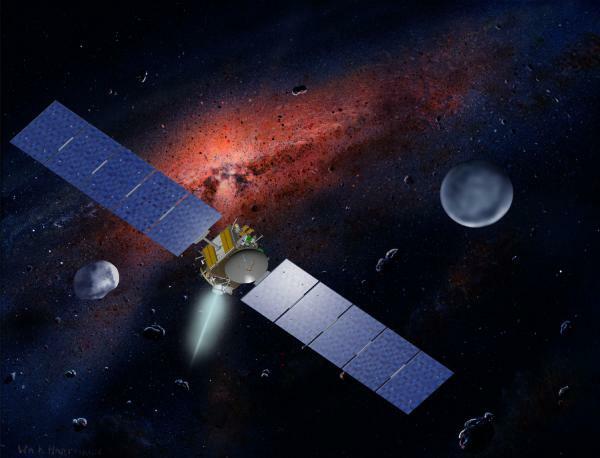 Next July Dawn will power up its ion thrusters and fly to the dwarf planet Ceres, an enigmatic pseudo-planet which seems to harbor secrets of the solar system’s beginning under its oceans. Dawn is only one of ten planetary missions currently in orbit (or, indeed onworld) across the rest of the solar system. These are MESSENGER, Venus Express, Chang’E 2, Lunar Reconnaissance Orbiter, Mars Odyssey, Mars Express, Mars Reconnaissance Orbiter, the Mars rover Opportunity, Dawn, and Cassini. Additionally the following eight spacecraft are currently in flight: New Horizons is headed for the dwarf planet Pluto, Rosetta is currently flying to the comet Churymov-Gerasimenko, Japan’s Akatsuki and IKAROS are both in solar orbit, the spacecrafts Deep Impact and ICE, are awaiting further instructions, and finally Voyager 1 and 2 are still out there exploring the distant edge of the solar system. I picked out the projects involving NASA in green (I have already written about the Japanese solar sail Ikaros and our Mercury mission so check out my hyperlinks). These are just the far traveling missions–there are also dozens of near-Earth spacecraft studying the sun, the stars, deep space, and, most of all, the earth. 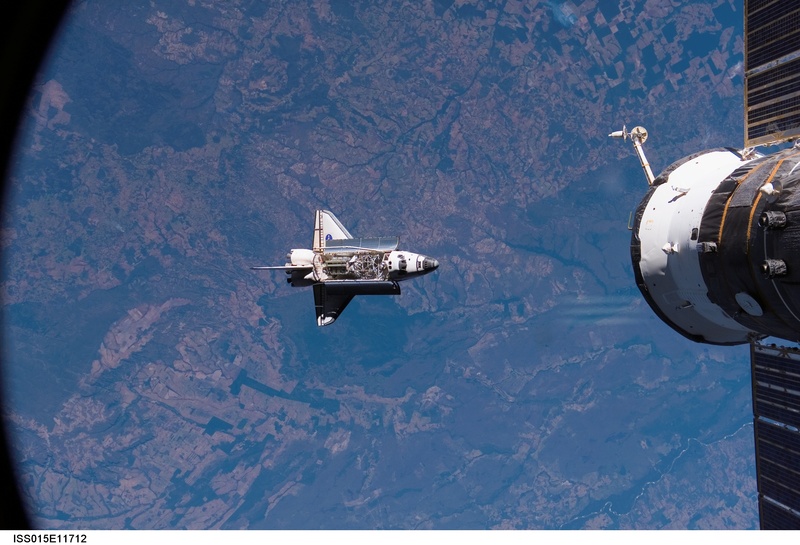 The shuttle program is not quite as dead as it seems, the Air Force still has two small robot space shuttles and DARPA (the Defense Advanced Research Projects Agency which spawned all manner of world changing technology) is working on next generation spaceplanes. 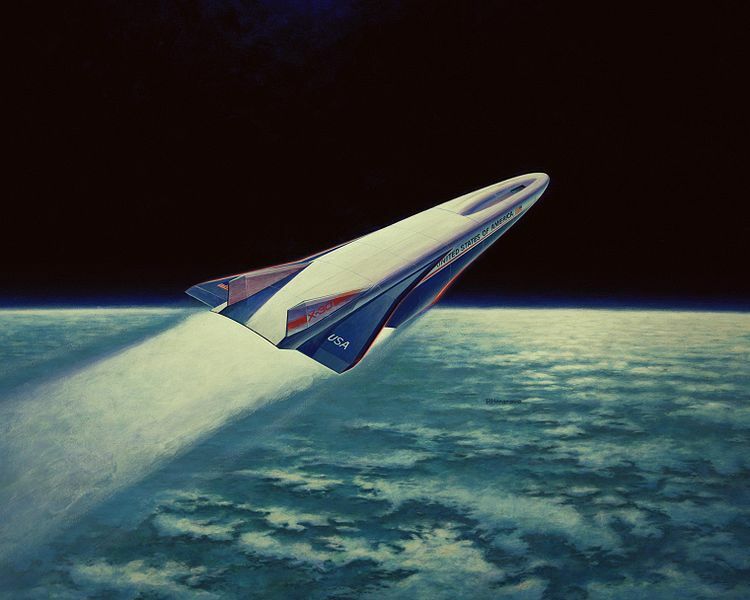 A single-stage-to-orbit space plane (which takes off and lands like a normal plane) is still far off, but aerospace engineers seem confident they could build a two-stage-to-orbit crewed space plane around scramjet technology. I’m going to miss the shuttles—the white behemoths were major features of my childhood. Back in the early eighties they seemed to hold out all sorts of promises for a glorious future in space. But childhood comes to an end and the shuttles really never lived up to expectations. Now as we Americans sit grounded (unless we want to pay the Russians 50+ million dollars for a seat on one of their old Soyuz spacecrafts), it is time to think about what we want. Maybe humankind will catch a break and see breakthroughs in molecular or nuclear engineering which leave us with a new range of materials and energy possibilities (despite its long quiet phase, I still have high hopes for the National Ignition Facility). I have always harbored fantasies of a nuclear power plant on the moon with an attached rail gun for space launches. 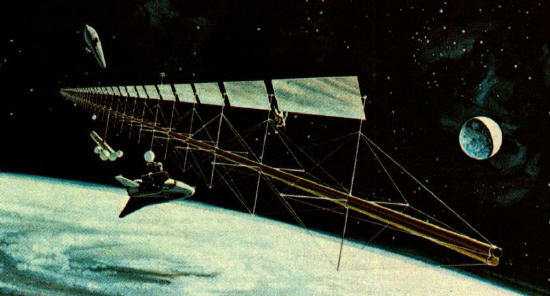 I also like the idea of a space elevator, or a twirling toroid space habitat with false gravity. The always deferred Mars mission is exciting too (although we have talked about it so long that some of its glitter has come off). But I’m open to other ideas. We all should be. We need to talk about it and then we need to decide on some ideas and fund them quickly. Seeds need to be planted to grow. If we call it an orbital railgun, people will be upset. How about "orbital railfriend"? Try to imagine the Namib Desert, where a stormy foggy shoreline gives way quickly to endless bone-dry dunes of shifting golden sand. It is one of the starkest contrasts in the world’s geography: the fury of the cold waves is juxtaposed with the opposing starkness of the sun-pounded dunes. 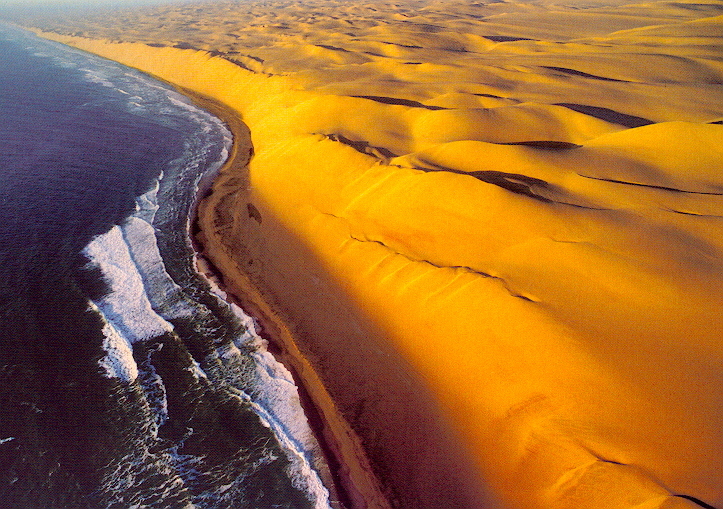 The coastline where the Namib Desert runs up against the Atlantic is known as the skeleton coast both because it is a place where whalers and sealers once discarded the stripped carcasses of the marine mammals they killed in droves and because it is one of the world’s most treacherous coastlines. More than a thousand major modern wrecks dot the coast (where they mingle with countless older shipwrecks). Portuguese sailors trying to get around the horn of Africa to reach the riches of Asia called the area “the gates of hell.” A human powered craft can make its way through the pounding surf to the desolate coastline but it then becomes impossible to re-launch. 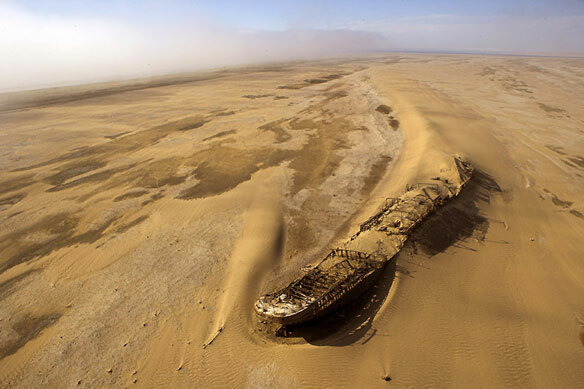 Sailors shipwrecked on the Namib coast thus faced the daunting prospect of walking through a vast expanse of waterless desert. Before the modern era, most ship-wrecked souls did not escape and their skeletons soon became part of the landscape. The desert is ancient. For more than 55 million years it has existed as a wasteland with almost no surface water. Since the end of the age of dinosaurs, the warm tropical air of the Hadley cell has intersected a cold oceanic current welling northward from Antarctica. But the region was arid long before that. West Gondwanaland shifted to its present position along the Tropic of Capricorn nearly 130 million years ago and has remained there since—a wallflower in the great dance of continents. Namibia was a German colony during the colonial era. Unsurprisingly, the Germans made their Namibian colony the sight of the twentieth century’s first genocide when they tried to extinguish the unruly Herero and Nama peoples in 1904. The nation was seized by South Africa after the end of World War I but after many decades of gradual power shifting Namibia gained complete independence in 1990. 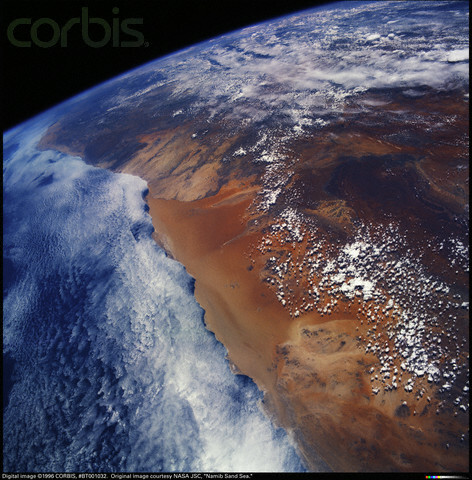 The Republic of Namibia is the second sparsest nation on earth with only 2.1 million people spread across a landscape roughly the size of Germany, Poland, the Czech republic, Belgium, Denmark, and the Netherlands combined (not that those nations should ever be combined!). It is one of the few stable multi-party democracies in Africa (maybe I should say the world). 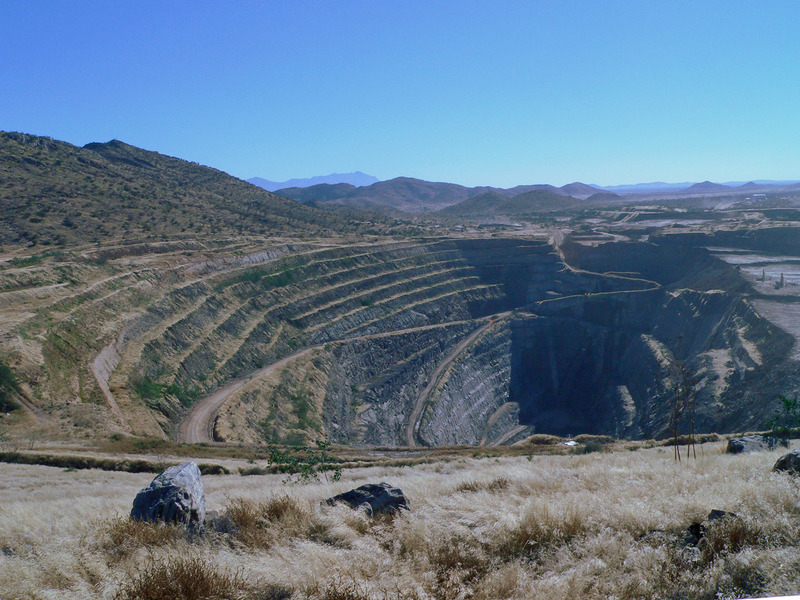 Namibia makes most of its money from mining uranium, gemstones, lead, tungsten, gold, tin, fluorspar, manganese, marble, copper and zinc. Natural gas can be found just off the coast (though it may prove challenging to drill there). Why am I writing about this beautiful harsh anomaly of a nation? The unique and isolated geography of Namibia have made it a unique ecosystem of creatures capable of surviving the harsh desert environment (to say nothing of the creatures which team in the rich coastal waters). Desert dwelling creatures have had a long time to adapt to the hostile conditions of the world’s oldest desert. One of the most unique of all placental mammals is found in Namibia. I’ll address this bizarre fossorial hunter in my next post. 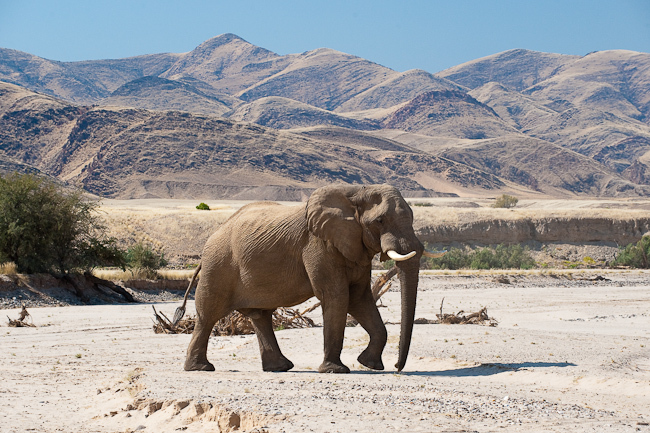 Hint: It's not the mighty African Elephant (one of my favorite creatures), but strangely enough african elephants do live in Namibia.